Rome is both a modern and an ancient city. You can have all the conveniences of a modern city at your disposal while you walk the same cobblestones as the Roman army walked. 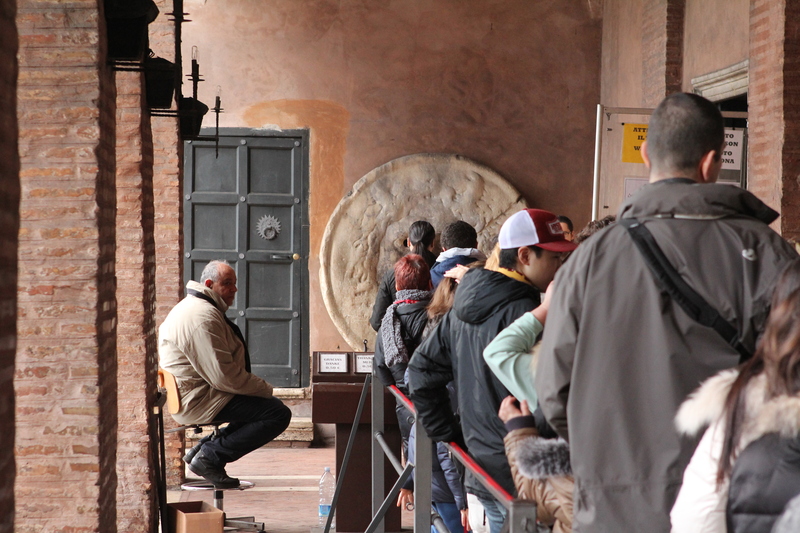 Go to old Rome next to the Colosseum and imagine life back then. They watched tournaments in the Colosseum then went off to the baths. 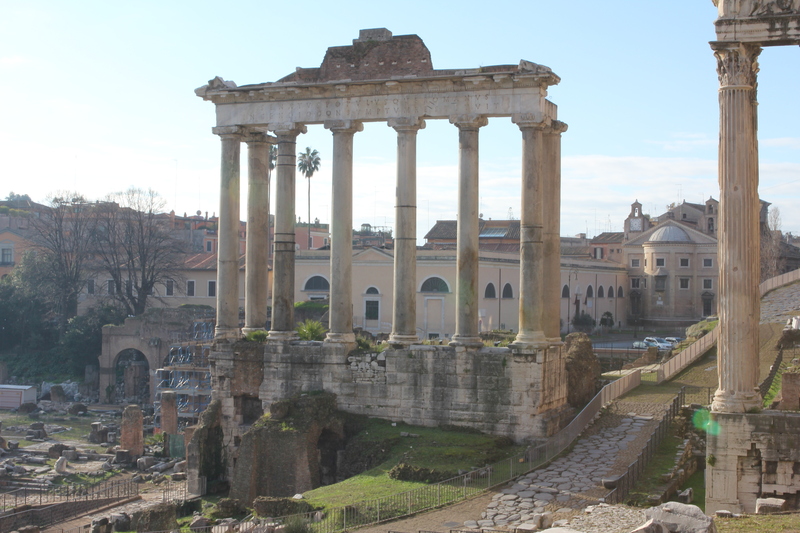 Old Rome is a ruin but you can see the pillars and the outline of buildings that were part of old Rome. Imagine, as you walk these streets, the Romans that walked here before you. 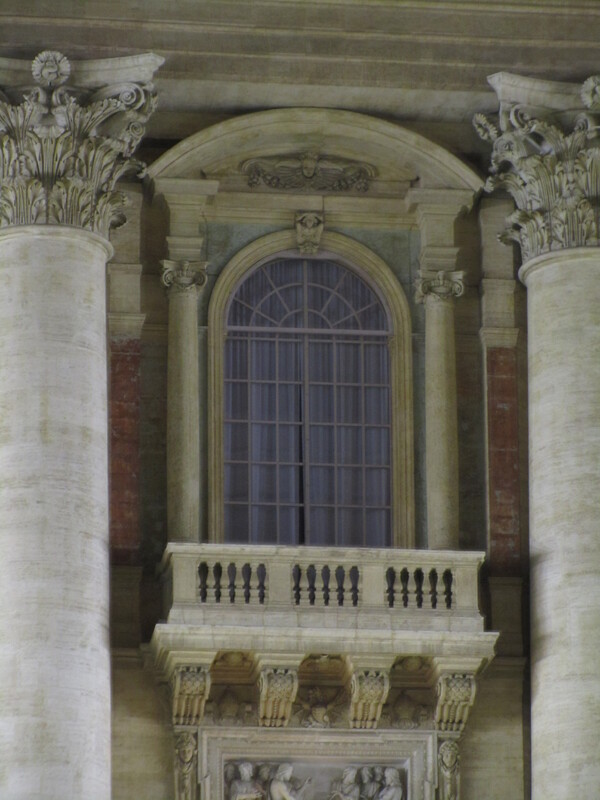 As you walk the different areas of Rome, you can see the most beautiful architecture. The Vatican, which is a separate country from Italy is within walking distance of the most popular Rome sites. Castel Saint’Angelo is a short walk from the Vatican. 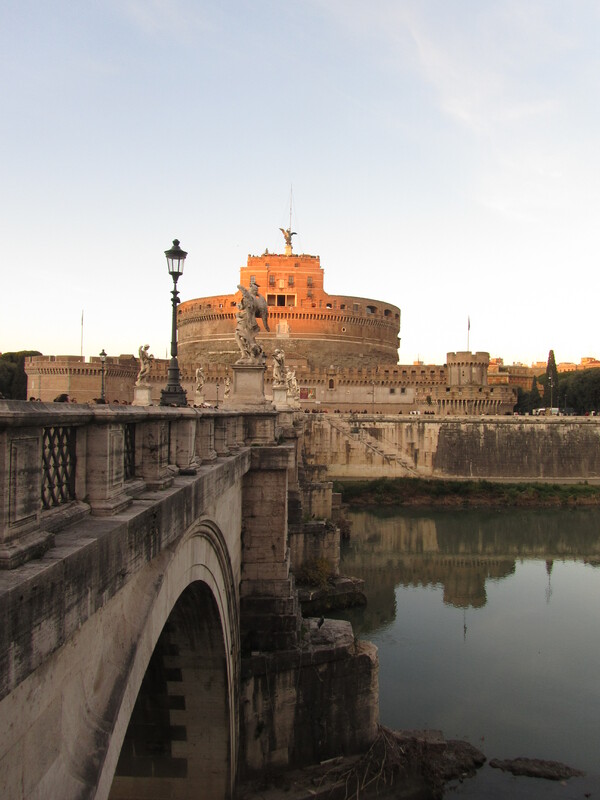 It has a beautiful bridge with angels on it that leads you over the Tiber River. 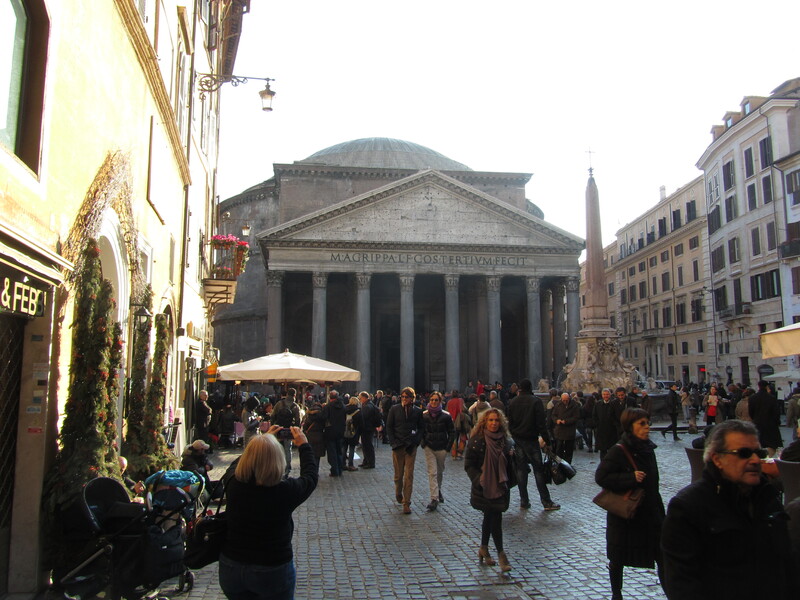 Not far from this beautiful bridge is the Pantheon. On the way you pass one of our favorite Gelato stores. 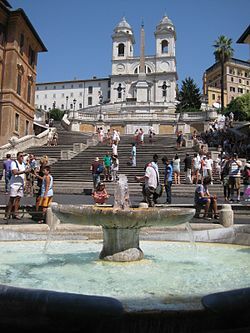 No tour of Rome is complete without a climb of the famous Spanish Steps. Here you can see my wife, Jo Anne coming off the steps and heading to the nearby fountain. In front of the Spanish Steps is Roman’s shopping district. It has many wonderful but expensive stores. Stroll up and down each street and get a feel for Roman fashion. Not far away is the famous Trevi Fountain. It has just been restored to its original glory. This fountain can get very crowded. Watch for pickpockets! Try different times of the day and night. The fountain in the dark is totally different from the fountain in the daytime. All of this architecture and the people, food and wine! How can you not go? When you plan a trip to Rome, there are certain things you must see. Rome is an ancient city and a modern city of architecture. People have apartments with modern convinces in ancient buildings. The cobble stoned roads make you think of ancient roman with an army of Roman soldiers riding into the city on horseback. 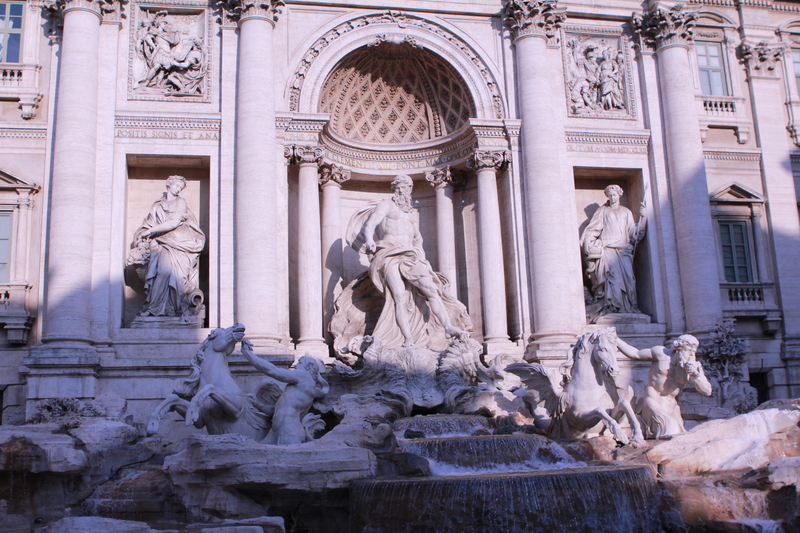 Trevi Fountain – This fountain has been undergoing restoration but is a beautiful work of art. It is not that old by Roman standards. It was constructed in 1732. 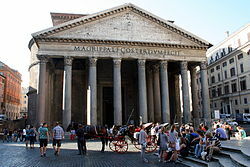 Pantheon – Originally commissioned during reign of Augustus (27 BC to 14 AD). The current structure was built 118AD to 128 AD. It is a modern structure with a floating roof like modern sports arenas. They actually built a wooden roof structure then used blocks and cement to create the actual roof. Finally they tore down the wooden structure. It has a hole in the center that is open to the sky. 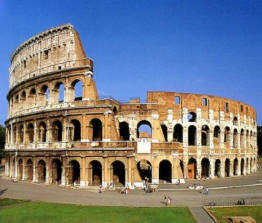 Old Roman & Coliseum – The Coliseum was commissioned 70-72 AD. 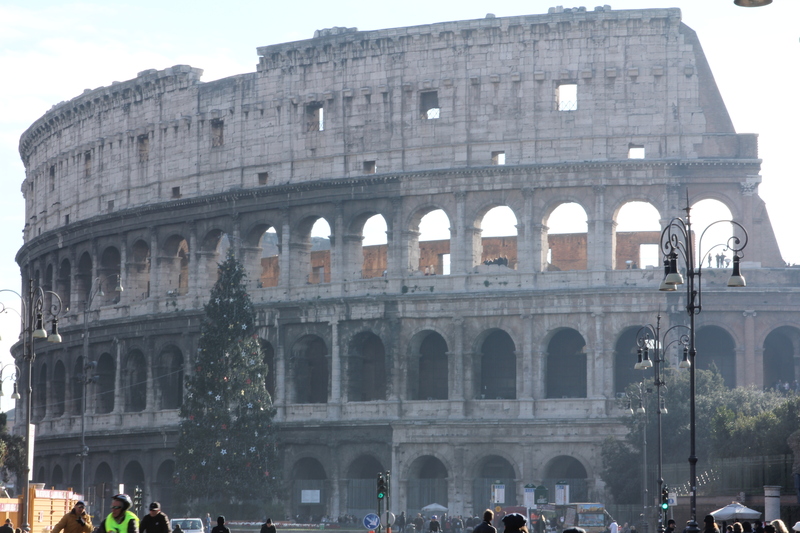 although most of old Rome is ruins, the coliseum is still seen in its full glory. There are stone roads in old Rome that make you fill the Roman legions are marching through. This is what Roman Citizens would see during the Roman period. It is a very unique and interesting place preserved for all time. 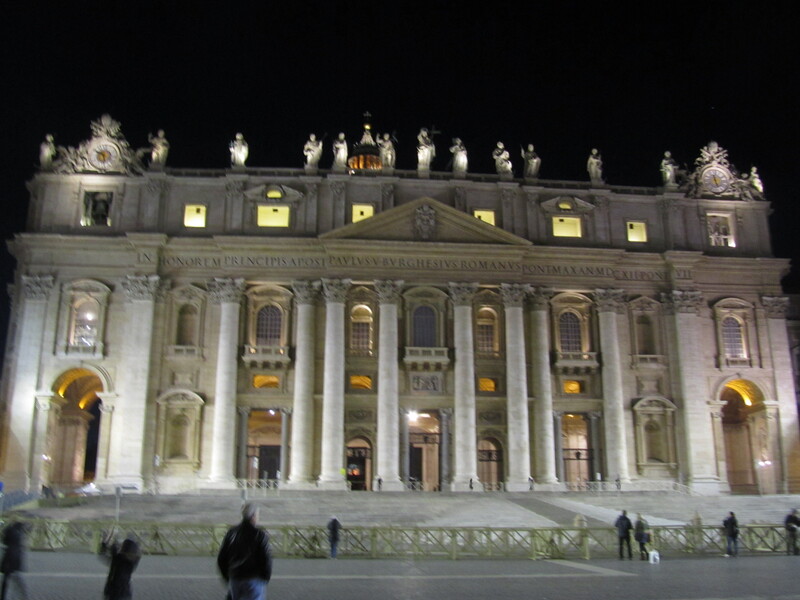 Vatican City & Saint Peters Basilica – Vatican City is a separate country from Italy. It’s president is the Pope and its army is the Swiss Guard. 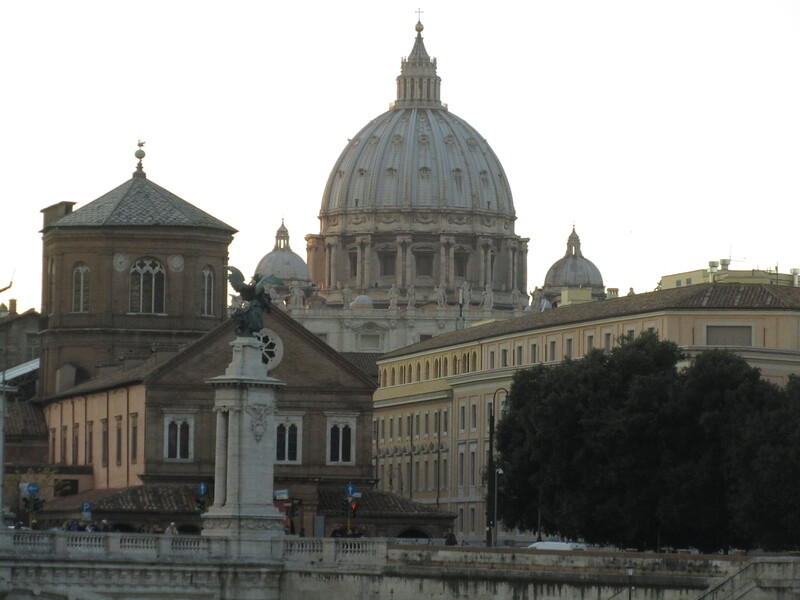 At one end touching upon Rome is Saint Peter’s Basilica. The courtyard is massive and the church is impressive by any standard. You can usually enter any time and see this magnificent structure. The vatican and Sistine Chapel is on the other side behind well guarded walls. You will need a reservation to enter. After you go through the Sistine Chapel, there are two exits: 1) to Saint Peter’s (but you can not return and 2) back to the vatican city. Castel Sant’Angelo – Construction began 135 AD. This beautiful castle is just down the street from Saint Peter’s. 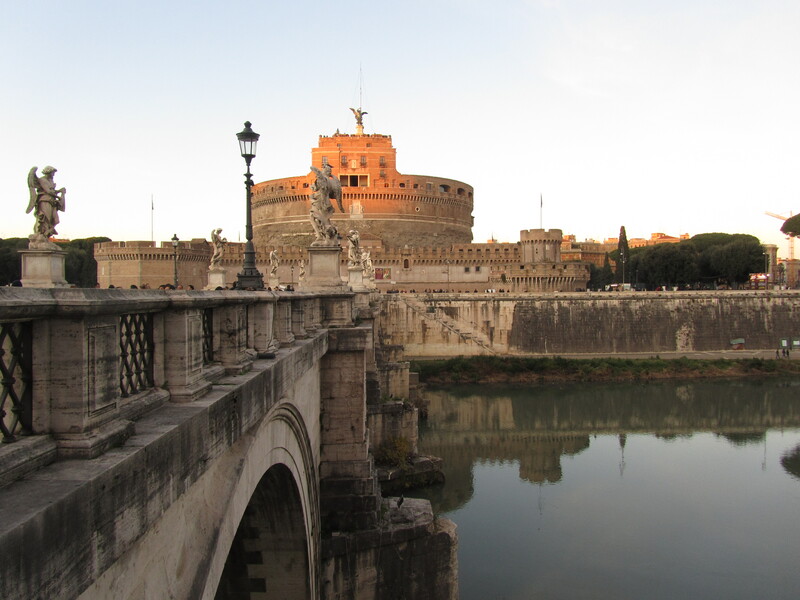 The bridge nearby leads back over the Tiber River to the main part of Rome. The bridge has beautiful angels on it. Villa Borghese – This is a huge park behind the Spanish Steps. It has restaurants, walks, rides for the kids and the Borghese Gallery which is a wonderful museum worth seeing. You will need advance reservations. 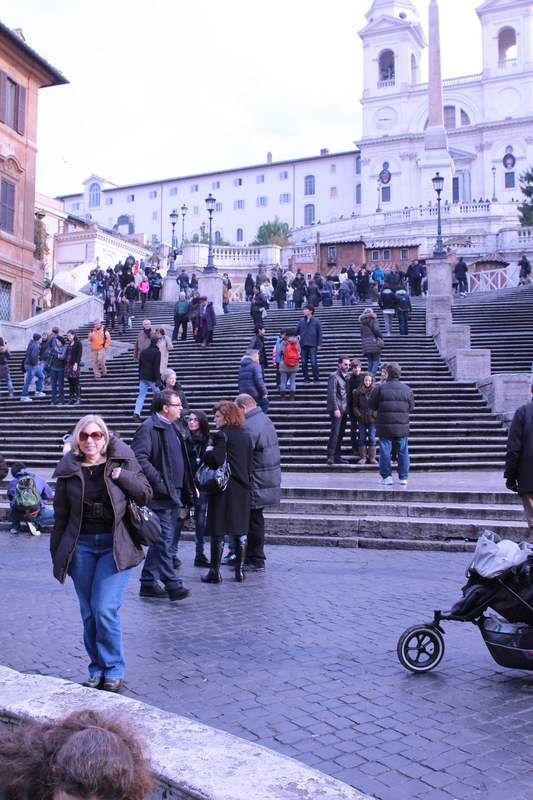 Spanish Steps – Was first opened in 1725. A set of a 135 steps lead up a steep rise in Rome. Climb them to see Trinità dei Monti church at the top. You can then continue into Villa Borghese park. We started at Trevi Fountain and circled around and ended up at the Spanish Steps. 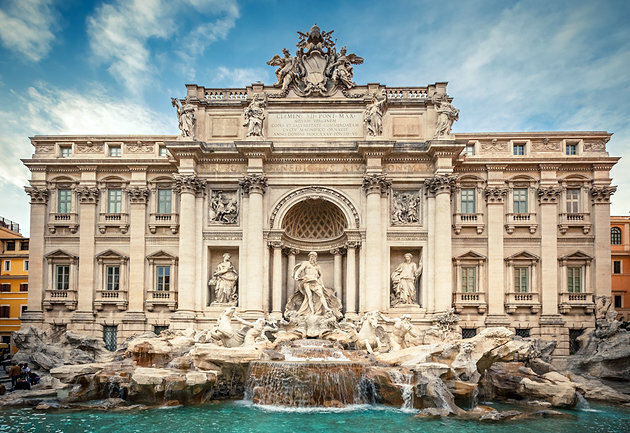 There is much more to see in Rome but we love these sites.